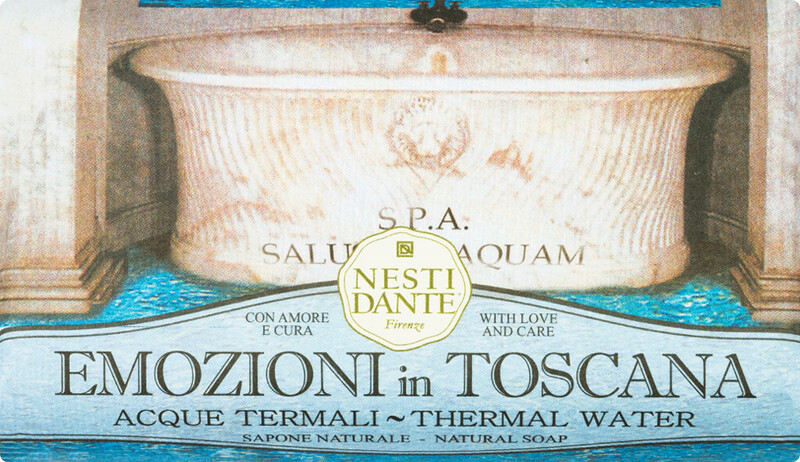 Delight in the pure scent of therapeutic spring waters with the Nesti Dante Emozioni in Toscana Thermal Water Natural Soap. Crafted using a traditional cauldron method, and using natural materials, the Thermal Water Natural Soap provides a truly luxurious bathing experience. Recalling the beauty of ancient Rome, its rich formula enwraps the skin in a cocoon of nourishing care. After use, skin will feel instantly cleansed and softened and will be delicately scented with a fresh and revitalising aroma reminiscent of a luxurious spa. Work the soap into wet hands and massage all over the body and rinse thoroughly. Store soap in a clean, dry place after each use to preserve its longevity.